Description: Relaxing on the verandah with Father at Gabbinbar. 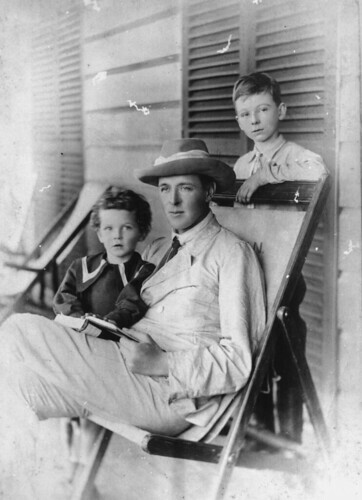 Lord Chelmsford with his sons, Frederic and Andrew. Frederic John Napier, third Barron Chelmsford, was Governor of Queensland from 1905 to 1909, when he became Governor of New South Wales. His older son was killed in action in 1917.